While most of people I know use Google for daily searching, only few of them know how to actually search (apart from providing a search term and hitting “Search”). Only few people know that Google may prove really useful for saving money and developing a smart shopping strategy – especially during the holiday season when everyone is trying to buy something and you should stay cool and clever enough to stick to your budget. Google offers quite a few shortcuts allowing to perform simple actions that can make your life much easier. Google has recently introduced a really helpful feature: it hides behind “Show options” under the search field. The feature gives you a few nice options like price comparison and date search. 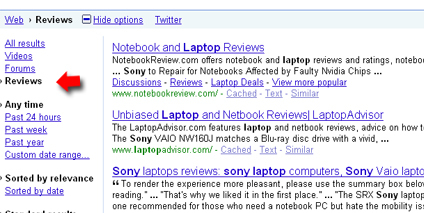 Google now allows to easily check latest updates on anything you need. This can be really handy if you need to find out what people are saying right now about the product or a seller you are considering. 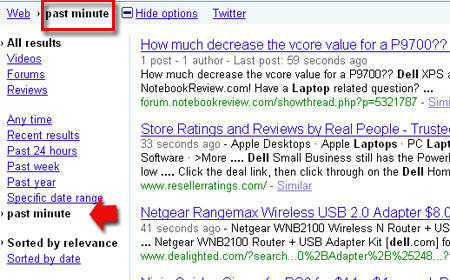 Search for the product or a seller name, click “Show options” link, then choose any link under “Any time“. This one turns particularly useful when most search results contain a product from one most popular manufacturer – and you want to see more options. 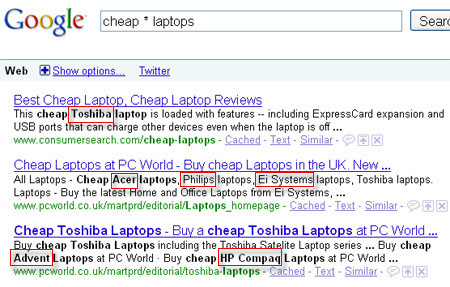 Now, think how many options you are getting when you combine several of the above search hacks! You can find almost anything! 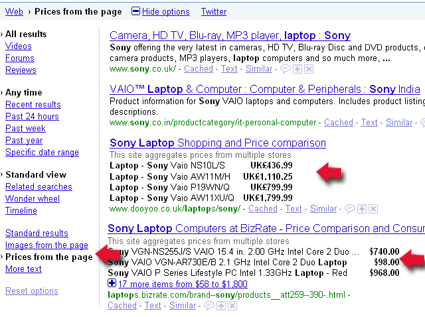 Just use Google creatively and you will find the latest deals and choose the best product. The guest post is by Ann Smarty, a blogger, search marketer and social media enthusiast. If you feel like, follow Ann on Twitter! The shortcuts are cool but usually use google more when price comparison or looking for online ecommerce stores that would have lower prices than in store. Great info. I actually had a class on just searching in high school. Its amazing how many people dont know how to search the internet. I used Google to find a digital camera, but it led me astray: I ended up buying one from a pretty disreputable site. I know the onus was on me to do more research, but I found a site that had a much cheaper Canon camera than the other sites. It was too good to be true — the site was rip-off, and I ended up paying MORE than other sites. (Long story.) I got the camera I wanted, but it was a huge hassle. 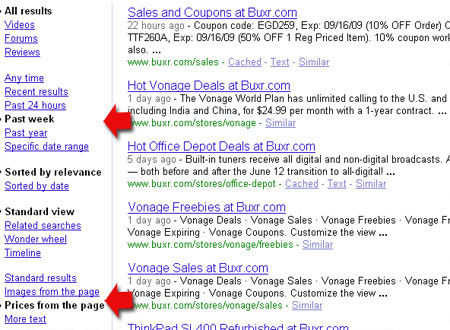 Bottom line: Use google, but be sure to do some research on the site to make sure they’re on the up-and-up. heart… Many thanks! Εxactly ԝɦere aare ʏߋu contact details though?